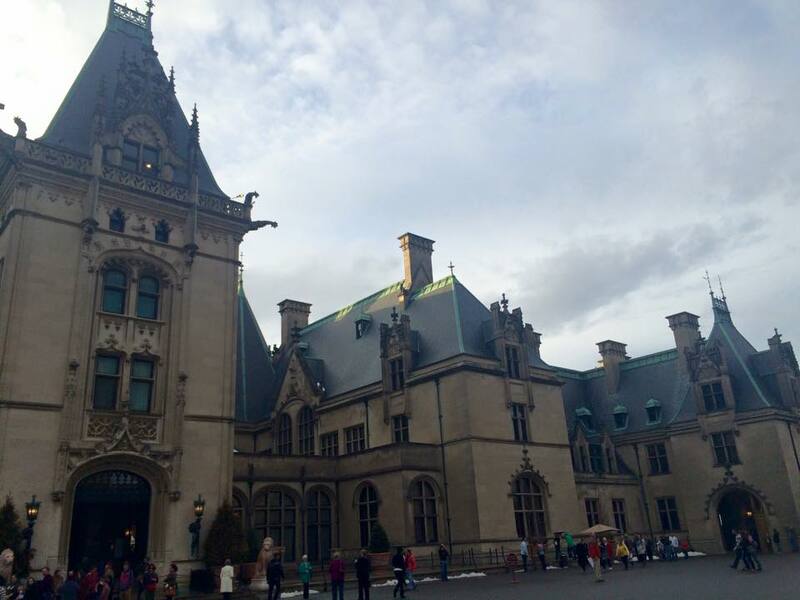 Biltmore Estate in Asheville, North Carolina: America’s largest home, the 8,000-acre Biltmore Estate was built in 1895 by George Vanderbilt. My first reaction upon arriving to estate was how fresh the air was. The estate resides in the middle of the Blue Ridge Mountains, with beautiful natural scenery and the cleanest air I have ever felt. It is self-sustaining, with a farm, winery, hotel and entertainment. George Vanderbilt lived there with his wife until 1914 when he passed away, and then his children resided in the home. The home is elegantly decorated with a French influence and has some of the largest and most majestic fireplaces I have ever seen. As a sustainability consultant, I was interested to learn that the estate was awarded in 2012 for environmental stewardship, including a new solar array and tree projection project. Mount Vernon, Virginia: According to the interactive website, Mount Vernon “offers a glimpse into 18th-century plantation life through beautiful gardens and grounds, intriguing museum exhibits, and immersive programs honoring George Washington’s life and legacy.” I toured the home while attending a public policy business course in Washington D.C. 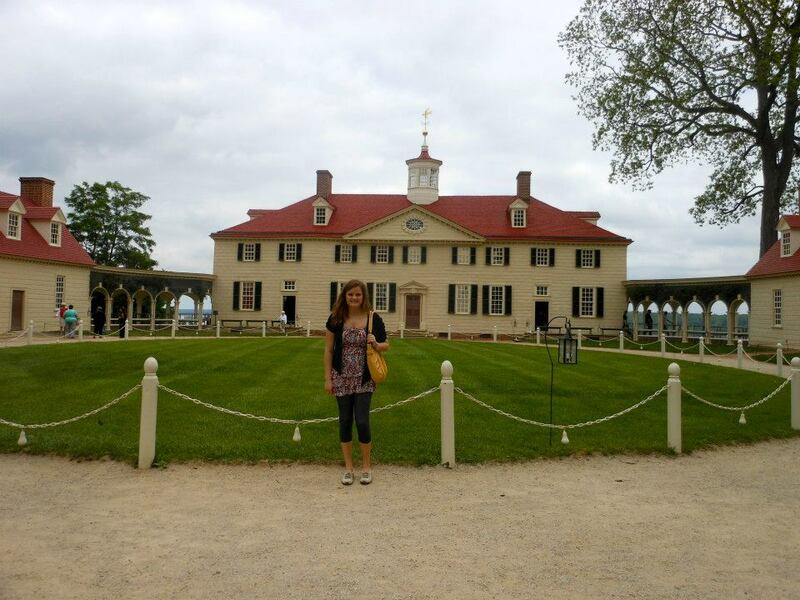 I was impressed by the beautiful gardens and scenery surrounding George Washington’s home. I also appreciated the handouts of Martha Washington’s favorite recipes, some of which I brought home with me (that reminds me, I still need to cook them :))! 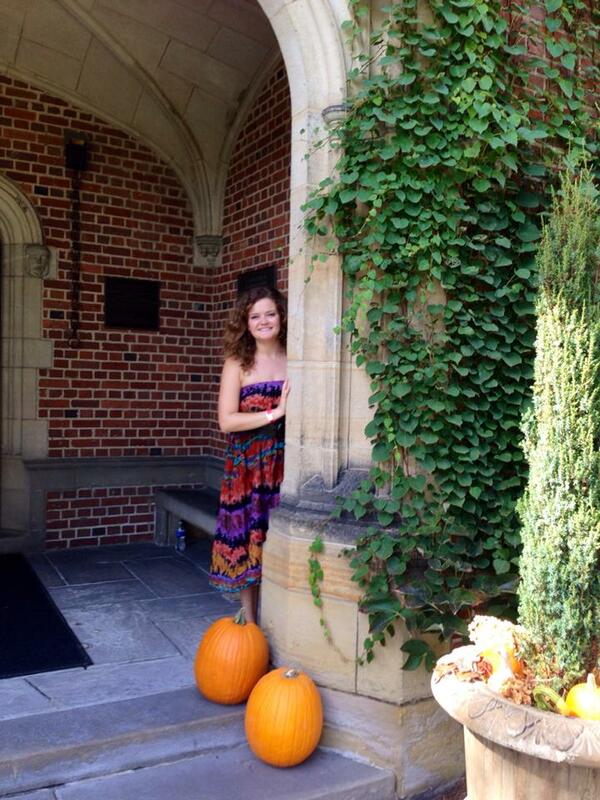 Stan Hywet Hall and Gardens in Akron, Ohio: As I described in my post, Favorite Ways to Spend Fall in Cleveland, the Stan Hywet Hall was the home of F.A. Sieberling, who created The Goodyear Tire & Rubber Company in 1898. The home was built between 1912-1915 and was one of the finest examples of the American Country Estate Movement. It includes five historic buildings and eight historic gardens on 70 acres. Learn more about the history of the Stan Hywet Hall and Gardens here. I enjoyed the several gardens and yard games – it would have been a lot of fun to grow up with so many outdoor activities and free land to explore! 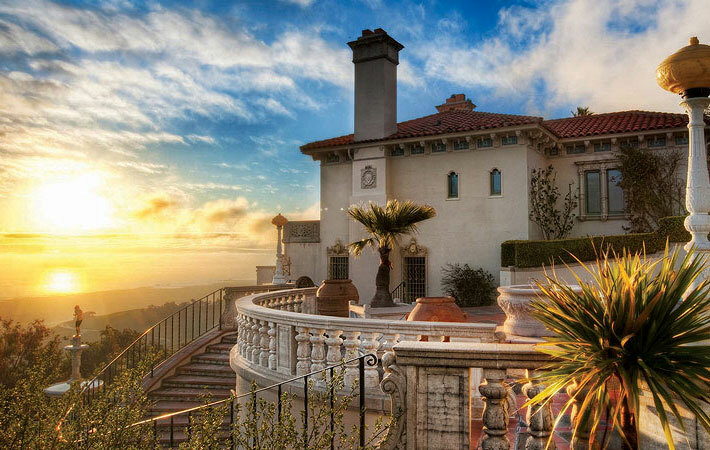 Hearst Castle in San Simeon, California: According to the website, William Randolph Hearst built the “estate on his ranchland overlooking the village of San Simeon in 1919. He called the estate “La Cuesta Encantada” – Spanish for The Enchanted Hill. By 1947, the hilltop complex included a twin-towered main building, three sumptuous guesthouses, and 127 acres of terraced gardens, fountains, and pools.” Given the significance of the Hearst family in journalism, I was interested to see the Gothic Study, where Hearst would preview newspapers every night before printing them the following morning. I also enjoyed the Spanish influence in the home decor given my Spanish language and culture studies. Visiting these estates reminds me of how much more engaging and rewarding it is to learn history through site seeing rather than reading a school textbook. If I ever have the opportunity to teach, my goal will be to encourage hands-on learning, allowing students to actually visit the locations we discuss in class. I look forward to traveling to the remaining famous estates throughout the United States in my lifelong pursuit to learn about the world. “Journalists write the first draft of history.” -Publisher Philip L. Graham. 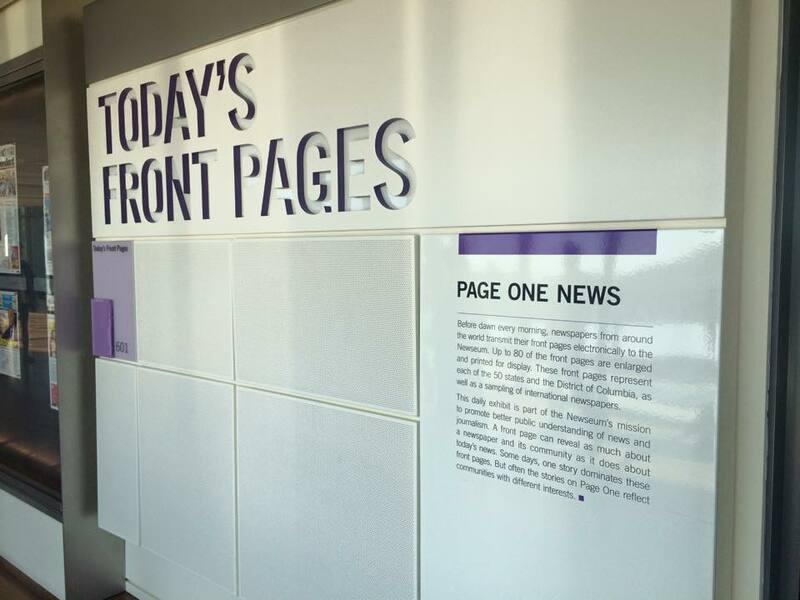 Visitors could easily spend a day or two at the Newseum, but for those of us with limited travel time, I have outlined my favorite parts of the Newseum below. I was able to see all of these highlights in 2 hours. News Corporation News History Gallery: Stroll the visual exhibit and open drawers to view more than 500 years of newspaper history, from the first newspaper to blogging and social media. As a blogger and social media enthusiast, I was intrigued to learn about the transition from traditional media to digital media. Today’s Front Pages: The exhibit features the front cover of newspapers from all 50 states and 2,000 newspapers worldwide. I was amazed to learn that the Newseum updates these 2,000 front pages every day! 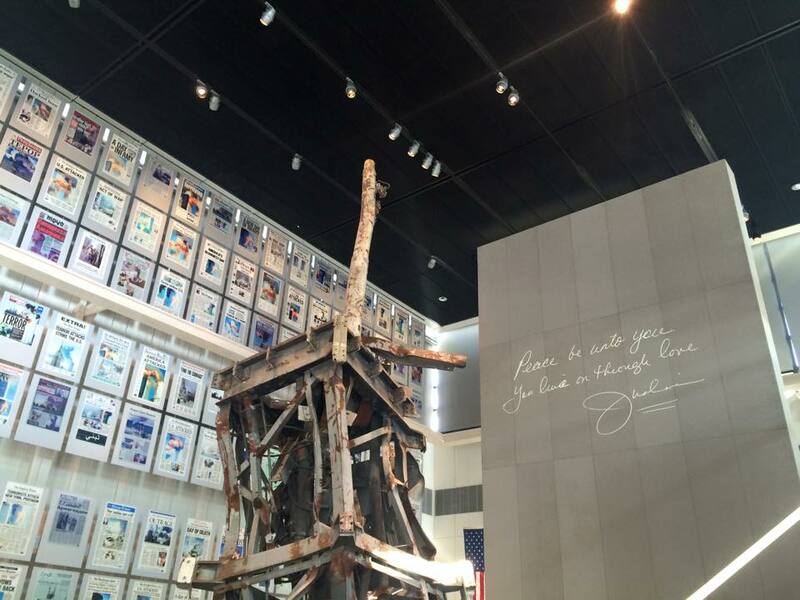 9/11 Gallery Sponsored by Comcast: View artifacts from the September 11, 2001 terrorist attacks and read headlines from international publications on 9/11. One of the most heartbreaking parts of the display was seeing dismantled cell phones that supposedly continued to ring for days after the attacks, with calls from fearful family members searching for their lost loved ones. 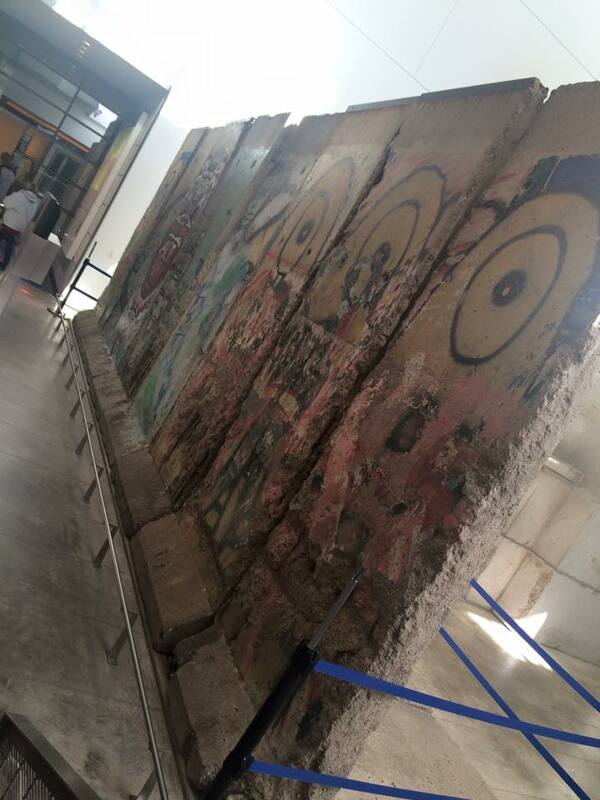 This was the first 9/11 exhibit I have ever seen and it was very powerful and touching to me. 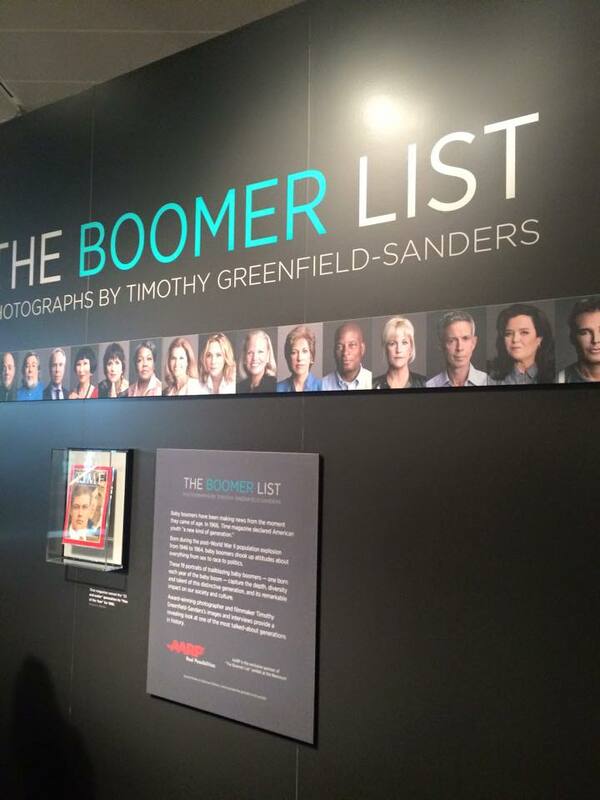 The Boomer List: Read profiles of significant leaders across industries from every year of the Baby Boomer generation. I took photos of the leaders that resonated with me and hope to have a positive impact on the world like many of them. 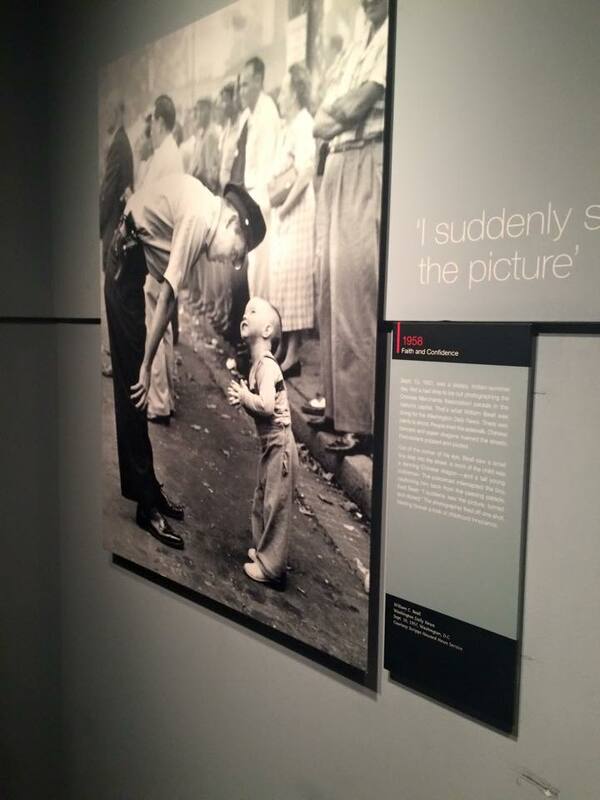 Pulitzer Prize Photographs Gallery: Learn history through Pulitzer Prize photography dating back to 1942 (the most comprehensive assembly of Pulitzer Prize photographs) and feel the emotions of the people taking place in the photographed scenes. After touring the Newseum, I was reminded of the significance of media in shaping and influencing my perspective of the past, present, and future. Although we may not want to admit it, we are often strongly influenced by what we read and watch every day. With this understanding, it is important for us to learn about the origins of journalism, which is such a powerful source in our daily lives. 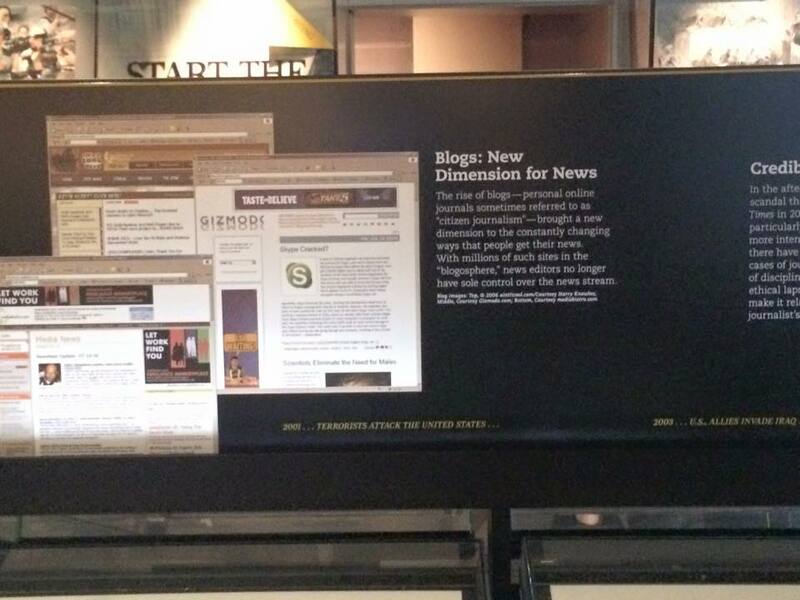 The next time you visit Washington, D.C., I highly recommend that you visit the Newseum!